Mobile offices make a difference in the way a variety of professionals work. These portable shipping container offices are staples in the construction and retail industries. Mobile offices allow you to bring added convenience and comfort to any job site or outdoor space. TP Trailers & Truck Equipment sells and rents high-quality mobile container offices that can be customized to your exact needs. 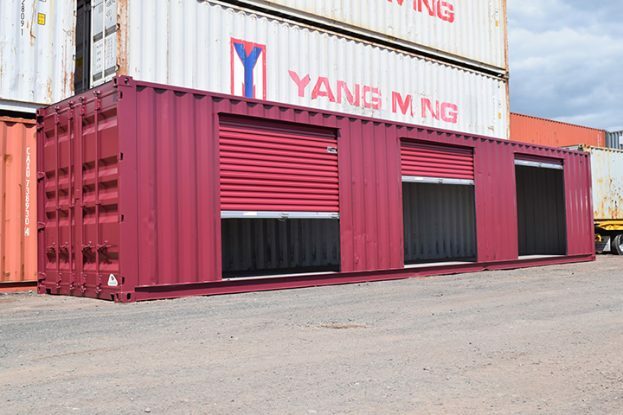 Explore our variety of shipping container offices, learn about the custom accessories we offer and get your free quote today. TP Trailers has multiple options for office space on any job site, retail facility, or commercial facility that include mobile office trailers and ground level office containers. Since your available space to place a container office is limited, we can equip you with a wide variety of sizes, including 8’ X 20’ and 8’ X 40’, as well as completely custom sizes. Quality is a requirement for any product that TP Trailers & Truck Equipment will carry — our mobile offices are no exception. You can count on long-term reliability from both our mobile office trailers and our ground level office containers. As is the case with any shipping containers bearing the TP Trailers name, you can guarantee that they will be wind-tight and watertight. In addition, our mobile offices use OSHA standard steps and can also come with storage space on larger models. Get the equipment you need such as lighting, plan tables, filing cabinets, and desks. Our popular ground level offices are equipped with everything you need on a job as well! Our larger models also have storage space for easy access. Shipping container offices are popular as they provide comfortable and usable office space for planners, managers, and other team members. Whether your retail store is out of space for personnel offices or you need an office on the construction site to keep the job organized, a mobile office is the solution for you. Our customers report that having a quiet, air-conditioned place to work increases their productivity in a meaningful way and is more than worth the investment. Since we know our portable container offices solve real problems for our customers, we go above and beyond to ensure that they can be equipped with everything you might possibly need. Whether that’s a desk you can use to refine architectural drawings or an air conditioner that helps you get out of the heat on a hot day, we can do it. If you have any other specific custom features that you need to be added to your mobile office trailer, contact us to discuss your specific request. TP Trailers & Equipment offers mobile offices for sale and rent at competitive prices. When you trust TP Trailers for your equipment needs, you can count on a high degree of quality as well as a team of experts standing behind the products. In addition to offering a large inventory and ample custom options, we provide you added convenience by delivering shipping container offices to your location. This ensures that the transport is handled safely and smoothly, and it gives you one less thing to worry about. Finally, if an issue ever occurs with your portable office, we stand by them just like any other product. Call or contact us today to discuss your needs as well as to get a mobile office quote. I am writing today to thank you for the terrific service the TP Family provides. I was in serious jam with a trailer in desperate need of repairs and exactly one day to get them done. You all stepped up and saved the day. I sincerely wish that more companies today would care about their customers the way that you do. The world would be a much better place. I can't thank you enough.